While it's indisputable that countless top quality songs have been produced while mixing with headphones, there are many issues to be overcome that can simply be avoided by mixing, or at least referencing, with monitors. Properly balancing the stereo field can be extremely difficult in the full-immersion of earphones versus the natural ambience of an acoustically treated studio with flat frequency monitors. This is largely why you find so many suggestions to never mix solely using headphones and to always have several monitor references available in various acoustical environments. The truth is that with enough familiarity with a specific set of headphones, you can learn how it's peculiarities carry over to the outside world. You can figure out how to compensate for these nuances, but ultimately this is simply correcting for errors and training your ears in a manner that's generally unproductive. The same could be said for any one room and any one set of monitors as well. This is why you should use both monitors and headphones. Professionals and hobbyists alike often find themselves in situations where headphones are the only option, so we're going to go the extra mile and instead of just saying "don't mix in headphones" we'll actually expound upon the advantages, disadvantages, and ways to overcome these problems. This way, you can work when you can work instead of being restricted to only working in the studio. When you return home or to the studio, though, you should most definitely consult your monitors in addition to your headphones. The discussion of which is better is a false dichotomy, because the third option is the best, which is using both references simultaneously. Of course, with any situation we are forced into, we'll have to live with the pros and cons of those parameters. But it's always helpful to be aware of what these factors are so that we can play to the strengths, acknowledge and minimize the weaknesses, and compensate in every way we can. Let's look at the benefits of mixing strictly in headphones, the problems associated with it, and how to get around as many of these problems as we can. There are two main barriers related to having a professional mix room, both related to money and both solved by a relatively inexpensive set of flat frequency mixing headphones. The first and foremost issue is the cost of high-end mixing monitors. Renting is a temporary fix that doesn't allow you to familiarize yourself with them and buying is often times simply out of the question. Not to mention, you must take into account any cables and amps that will be required. "Ummm, dad, can I get an advance on my allowance?" The second issue involves having a dedicated room and being allowed to perform construction within it to provide a neutral listening environment. Hiring out the construction and acoustical analysis, and the purchasing of high density insulation or pre-built acoustic panels is another financial hurdle. The Do-It-Yourself approach demands knowledge in several domains beyond just music and access to the proper insulation which is surprisingly hard to find locally and costly to ship. The solution? Headphones to the rescue! 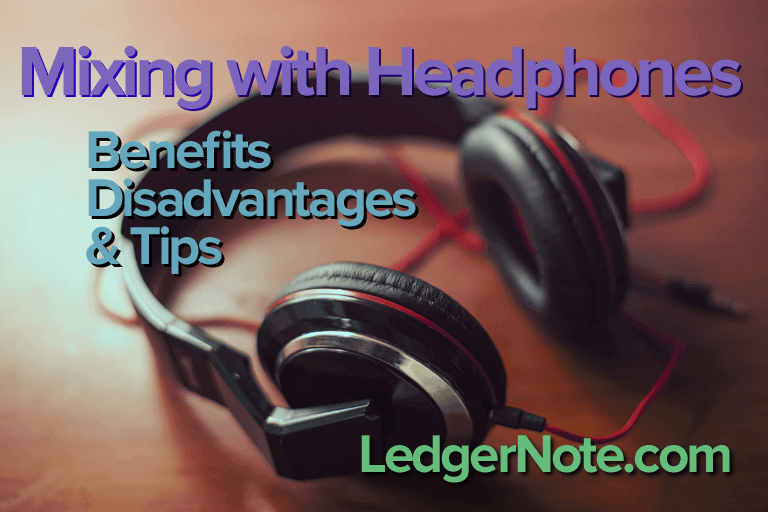 For a relatively low fee of about $100 to $300, you can gain entry to the professional level world of mixing headphones and bypass all of these other issues. 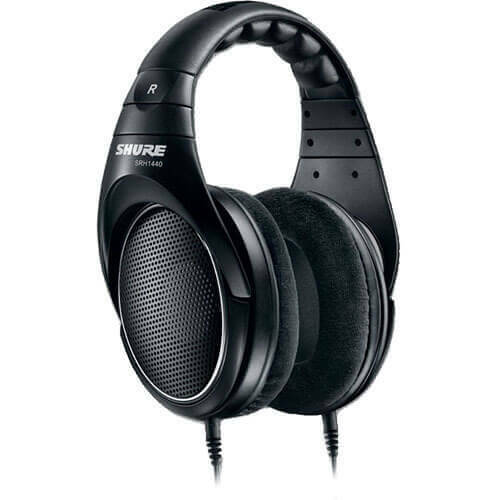 The goal is to purchase a pair of circumaural (meaning they have the large pads that surround your entire ear) headphones with the flattest frequency response you can find, and preferably with open-backed shells that lets sound pressure escape and not reflect around and back into your ears. Now, not only do you not need to have your room analyzed, but you don't even have to worry about it. The inaccuracies of the room regarding phase interference can be ignored completely. An example of open-back, circumaural headphones. Notice the perforated shell that allows sound to escape. In addition, you'll benefit from the unveiling of the most subtle of details that aren't obvious when mixing even in the top listening rooms. Fine-tuning the EQ's of individual tracks and the song in it's entirety is a much easier task and quicker to arrive at accurate results when mixing with headphones. However, with these benefits there is a trade-off for some disadvantages as well. Before you start celebrating not having to deal with the inaccuracies of a mixing environment since your headphones are wrapped around your ears right next to your head, think again. Even the best headphones for mixing can't solve all of your problems when they introduce new ones. It's still a win if you can't afford to treat your room or don't even have a mix room, but you do give up access to what's called cross-feed. Sometimes known as cross-bleed, this is the positive effect upon the brain when the listener's right ear is hearing some of the sound emitted by the left speaker, while the left ear picks up some of the right speaker. We are talking about the direct sound waves, not those bouncing off of the walls, which you would be minimizing with reflection panels otherwise. What this does is help your brain create a sense of origination, helping you locate where sounds are coming from out in front of you. It works in the same way your vision does to produce depth perception. With headphones you don't have this effect, which causes the music to sound like its coming from inside of your head instead of out in front of you, creating difficulties in mixing when dealing with panning, spatial effects, and volumes. We are visual creatures and taking advantage of this mental imaging helps us to clean up and position sounds within the stereo field. But without the binaural effect, we experience difficulties dealing with audio depth. Another issue arising from headphone mixing is that of over-compensating for sub-bass frequencies. You've noticed by now that most amateur mixes are usually too loud in the low-end and too muddy. This is because headphones don't have large enough woofers like a subwoofer does to produce the lowest frequencies at the bottom of the human range of hearing. This can cause you to increase the bass volume to obtain that "oomph" you're used to hearing in professional mixes, resulting in unpleasant mixes that can end up blowing a speaker as listeners turn up the volume to gain clarity in the upper frequencies. Finally, being exposed to so much clarity arising from inside your head instead of in front of you makes you hyperaware of the subtleties that won't be noticed otherwise. Because you can hear spatial effects like reverb and delays so well, you may underemphasize them, leading to an overly dry final bounce. You may also find that you're cutting a little too hard with the EQ's. Although you can learn to compensate for these problems, remember that you're training yourself to listen for and prefer an "incorrect" version. Even if you're using headphones as your main mixing reference, the hope is that you'd have access to acceptable monitors to double check your choices on, even in a sub-par acoustic environment. But in many cases, we simply don't have access to any room or monitors at all. Fortunately there are three main strategies that can help you make up for this lack of gear. The first option is to frequently bounce your mix and take it elsewhere. Back in the day before the advent of mp3 players, I had to blow through spindles upon spindles of CDR's as I'd bounce, burn, and take it out to my car and to the living room boom box to see how my choices were translating into different environments. Now, we can just bounce the track and load it into our iPod, Zune, or iPhone and check. Either way, this is your main weapon to safeguard your mixes. A second approach to help you get past some of the issues discussed above is to use a plugin in your digital audio workstation that will create some cross-feed in your headphones to help mimic the effect of using monitors. This will "leak" a bit of the right channel into the left, and vice versa, to bring you back to reality a bit. It's not ideal but better than nothing. 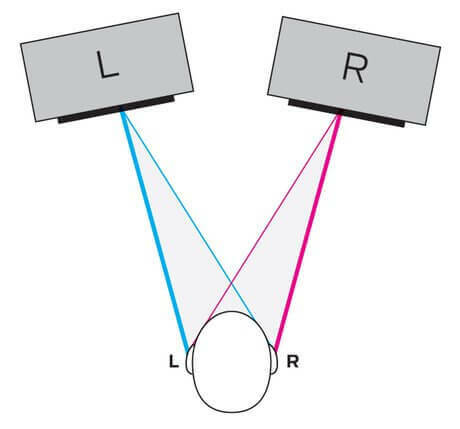 The third approach helps you set up a monitor reference in a poorly or non-treated room. You can find any set of low-cost speakers to set up and with the aid of a specific type of plugin, you can analyze the footprint of those speakers and your room together. What you do is set up a microphone with the flattest frequency response you can find and have it ready to record right where your head will be in the mix position. The plugin will play a full frequency wave form that sweeps from the low-end all the way up to the high-end at a steady volume. The corresponding waveform recorded from the mic will show you at which frequencies your room and speakers are boosting or dropping volume. This is caused by phase cancellation and other types of constructive and deconstructive interference, like two ripples in water bumping into each other. The plugin can then apply the inverse of this waveform to your master output to correct for the speaker and room inaccuracies. Scientifically, this makes great sense, but the reality is you'll never be seated in the exact same spot over and over and even if you pull that off, your head will tilt and wobble. The slightest movements can create large changes in a room that's not acoustically treated. Again, it's a crutch that can help in the meantime as you hopefully save up to build a proper mixing environment. Mixing your songs is the priority and at times we only have access to headphones. Although headphones can hide problems arising from our rooms and lack of acoustic treatment, it can also introduce other problems. There are solutions described above to combat these problems, but the goal should be to eventually accumulate the resources to build a proper listening room. When you arrive at that stage, your best move will be to start your mix in your best studio monitors, reference it here and there in your headphones, and finally reference the mix in a variety of environments such as your car, living room, bathroom, etc. 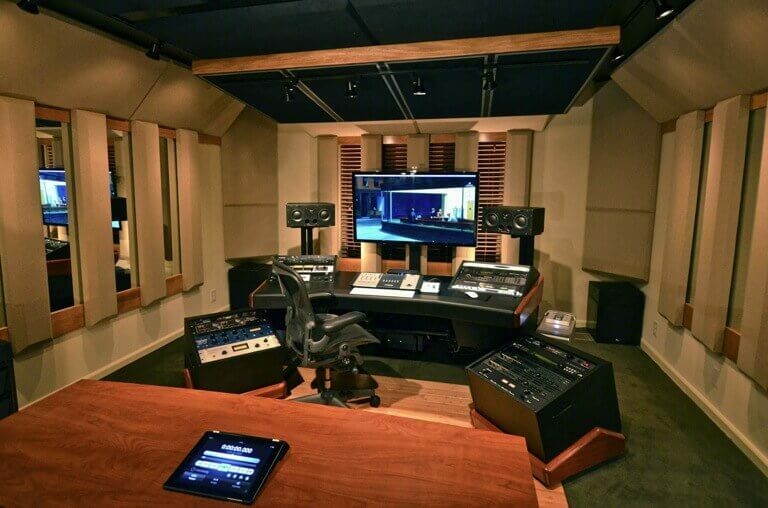 These differing rooms will expose minor problems that you might not have noticed otherwise that can be minimized to produce the most balanced and well-received version of your mix as possible. Remember, do the best with what you have. Many top mixes have been created using only headphones, so don't be discouraged. Have fun and persevere!